We are qualified in using different methods to best treat the infestation. Even if it may seem like it, a pest infestation is not the end of the world! There are plenty of Gordon's Bay pest control companies that can take care of the problem in a fast and highly efficient manner. These companies also make sure to use only approved products and methods that are not harmful to the environment, humans, or any non-targeted animals in the vicinity. Pests are all after one thing - food. They will invade any kind of property, including commercial, industrial, and residential properties. The most common pests that we have to deal with today include ants, cockroaches, mosquitoes, bedbugs, termites, fleas, termites, rodents, and many, many more. Luckily, there are people that are trained in getting rid of each one of these in a specific manner. 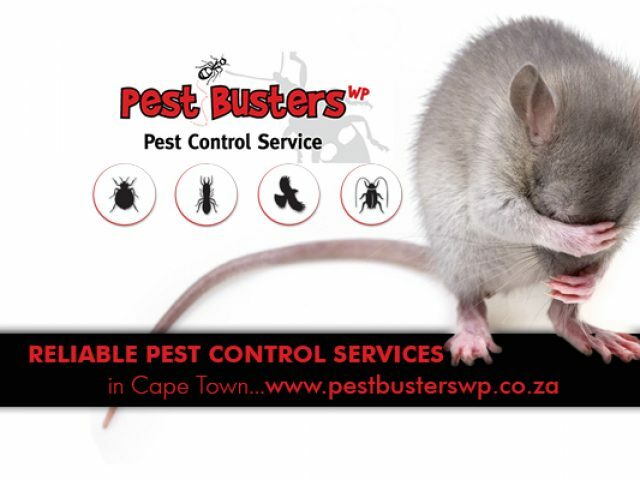 If you are in need of Gordon's Bay pest control services ASAP, why not browse through the ads listed below and find a service provider that meets your requirements?